Hi viewers, Welcome to Free Computer Tricks, here we will tell you some interesting tariff plans for the Airtel users. As you know Airtel has announced unlimited calling and data plans for it's users, so now the users can use the benefit of unlimited calls anywhere in India and 1.4 GB unlimited Data. Now the smart phone users are getting more exiting offer from their operator due to completion in the Telecom market such as Reliance Jio, Airtel, Vodafone and Tata Docomo etc. so do not worry you may get more interesting and exiting GSM tariff offers in the coming days. Here you can know the latest Airtel tariff plans and enjoy the unlimited calling and data from the operator. 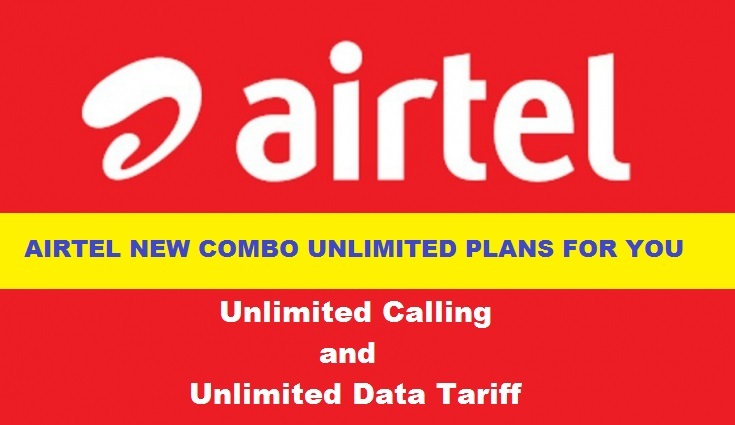 The Airtel users in India can get these offer tariff and enjoy the unlimited calling anywhere in India as well as Unlimited data on there smart phone, so if you have Android smart phone with Airtel SIM and wondering to do recharge, because you do not know which tariff is better for you. So here we give some interesting offer tariff for you which is truly very useful for the Airtel users. The below are some best unlimited packs for the Airtel users in Karnataka, the users belongs to other region can check their Airtel offer by visiting the official page of Airtel Tariff Recharge, just visit that page and select/change the region you are belongs to. Please check the new unlimited packs for Airtel, recharge tariff details given below.